As most of you know, ash trees in the GTA (and beyond) are being affected by the Emerald Ash Borer, which is killing all ash trees not being treated to control the beetle. Also see our discount promotion bulletin on our website! 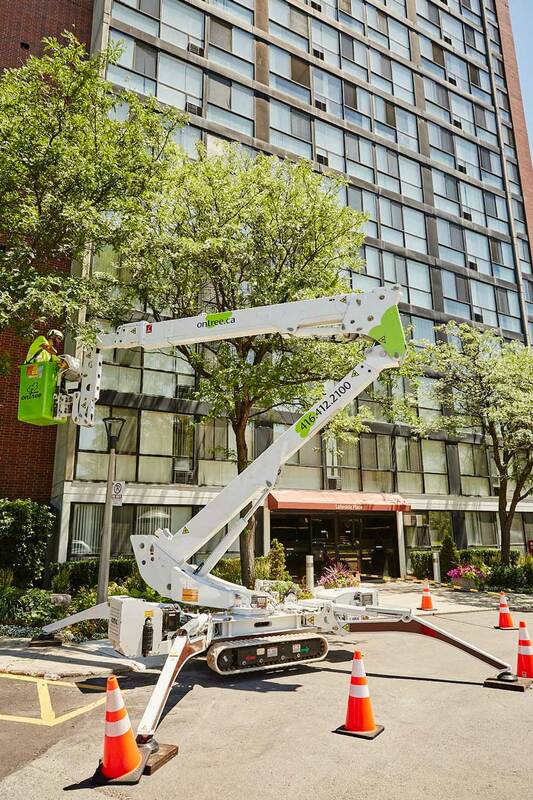 Ontree has two ‘spider lifts’ that are able to access tight areas which other companies may not be able to get to. Dead ash trees pose a serious risk for climbers and many companies will not climb ash anymore. ‘Spider lifts’ can be used to remove ash trees that are too dangerous to climb. In all cases, remember to protect yourself by ensuring the company you hire carries both liability and WSIB insurance. 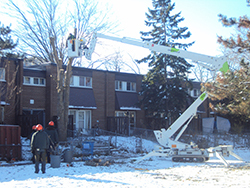 Please call our office or visit our website if you are interested in obtaining a free quotation to remove your tree.